A US drone has killed at least six suspected al-Qaeda militants in southern Yemen, officials have said. The strike comes a day after US and British embassies evacuated some staff because of growing fears of attacks. Warnings of potential attacks by militants have pushed the United States to shut missions across the Middle East. It was the fifth strike in less than two weeks. Local officials in the province of Shabwa said the drone fired at least six missiles at two vehicles in a remote area 70km north of the provincial capital, Ataq. Residents who rushed to the scene said they found only charred bodies. At least 20 suspected militants have been killed since 28 July, when a drone strike killed at least four members of Ansar al-Sharia. The local militant group affiliated to al-Qaeda in the Arabian Peninsula (AQAP) is one of the most active branches of the network founded by Osama bin Laden. Yemen is one of a handful of countries where the US acknowledges targeting militants with strikes by drone aircraft, although it does not comment publicly on the practice. US sources have said that intercepted communication between al-Qaeda leader Ayman al-Zawahri and the Yemen-based wing was one part of the intelligence behind the alert last week that prompted the closure of the embassies. 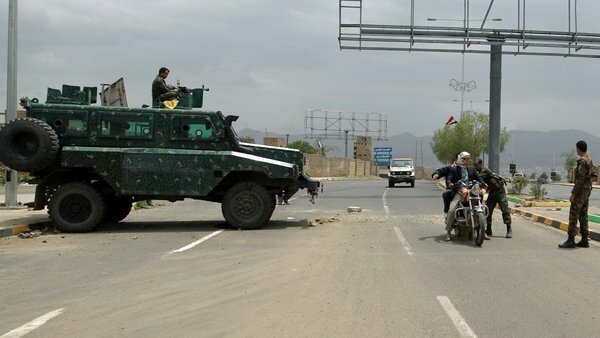 Security in Yemen is a global concern as it is home to AQAP, considered one of the most aggressive branches of the global militant organisation. 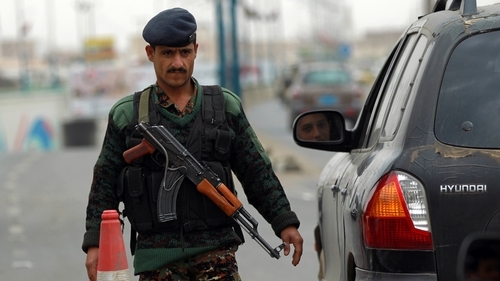 Yemeni authorities issued a statement yesterday listing 25 "most wanted terrorists" it said were planning to carry out attacks in the country during the Muslim Eid al-Fitr holiday this week. They also offered a five million Yemeni riyals (€17,000) for information leading to their capture.